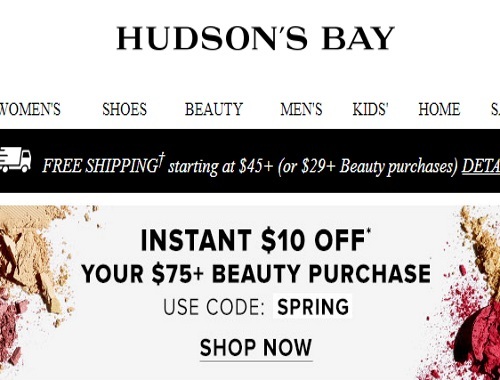 Hudson's Bay has a nice beauty offer on now! Get $10 off your beauty purchase of $75 or more online. Enter the promo code SPRING to get the discount. Offer is valid until March 18, 2018. Promo code discount can be applied at checkout. Excludes Dyson.